In this article, you'll learn about templates in C++. 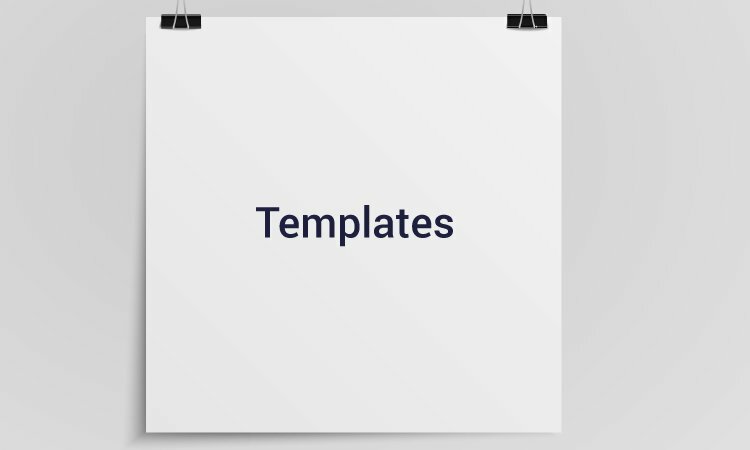 You'll learn to use the power of templates for generic programming. A function template starts with the keyword template followed by template parameter/s inside < > which is followed by function declaration. In the above code, T is a template argument that accepts different data types (int, float), and class is a keyword. You can also use keyword typename instead of class in the above example. When, an argument of a data type is passed to someFunction( ), compiler generates a new version of someFunction() for the given data type. // If two characters are passed to function template, character with larger ASCII value is displayed. z has larger ASCII value. In the above program, a function template Large() is defined that accepts two arguments n1 and n2 of data type T. T signifies that argument can be of any data type. Large() function returns the largest among the two arguments using a simple conditional operation. Inside the main() function, variables of three different data types: int, float and char are declared. The variables are then passed to the Large() function template as normal functions. During run-time, when an integer is passed to the template function, compiler knows it has to generate a Large() function to accept the int arguments and does so. Similarly, when floating-point data and char data are passed, it knows the argument data types and generates the Large() function accordingly. Before passing data to function template. After passing data to function template. The Swap() function template takes two arguments and swaps them by reference. In the above declaration, T is the template argument which is a placeholder for the data type used. Inside the class body, a member variable var and a member function someOperation() are both of type T.
To create a class template object, you need to define the data type inside a < > when creation. Numbers are: 2 and 1. Numbers are: 2.4 and 1.2. In the above program, a class template Calculator is declared. The class contains two private members of type T: num1 & num2, and a constructor to initalize the members. It also contains public member functions to calculate the addition, subtraction, multiplication and division of the numbers which return the value of data type defined by the user. Likewise, a function displayResult() to display the final output to the screen. In the main() function, two different Calculator objects intCalc and floatCalc are created for data types: int and float respectively. The values are initialized using the constructor. Notice we use <int> and <float> while creating the objects. These tell the compiler the data type used for the class creation. This creates a class definition each for int and float, which are then used accordingly. Then, displayResult() of both objects is called which performs the Calculator operations and displays the output.